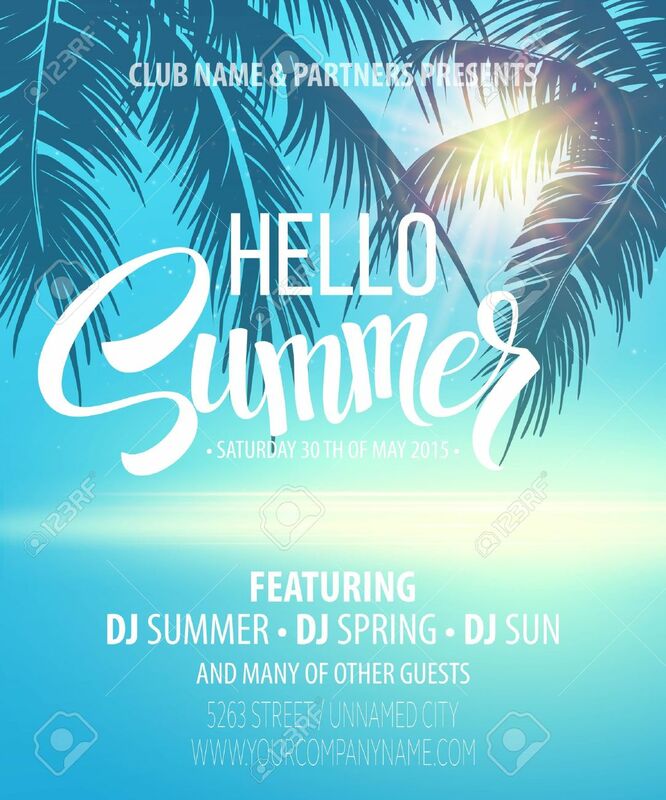 Hello Summer Beach Party Flyer. Vector Design 免版稅剪貼畫，向量插圖和股票. Image 40863018.